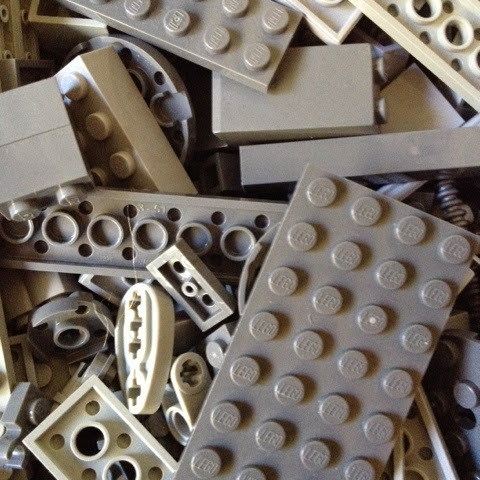 Do you have a big box of little grey Lego bits? 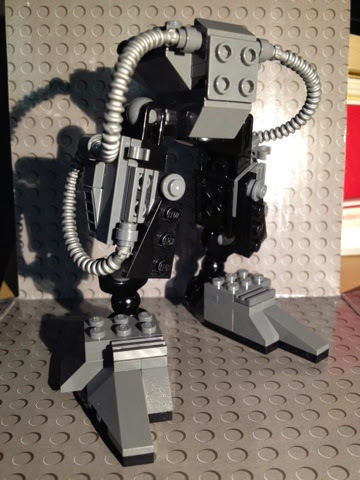 Did you look at the new Lego Ideas Exo-Suit and think 'I wonder if I could make that with the pieces I've got?'? I did. First of all, I made my actual Exo-Suit. I'm a firm believer that even the best Lego MOC-ers can learn a lot from the sets that Lego designers produce. It also helped me to ascertain which parts were absolutely necessary to the mechanics and the structure. 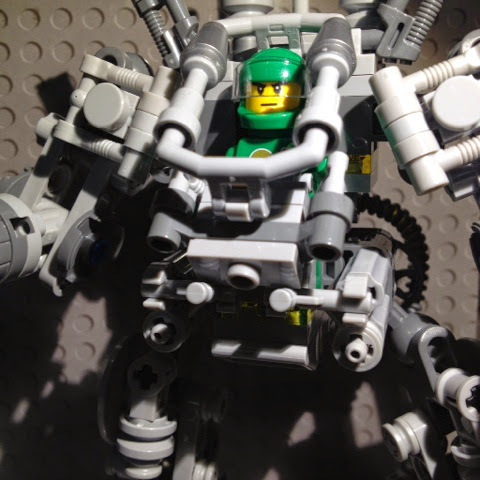 At this point, if you haven't already, you should go and download the official Lego instructions for the Exo-Suit, if you are going to attempt to build one, that is. Much of Exo-Suit is made up of decorative 'greeblings' - bits and pieces that give it the techy-machine look. As a rule of thumb, when looking at the parts list, all of the parts that look like they've come from a Lego Technic set and all of the ball and socket joint pieces are the ones you need. 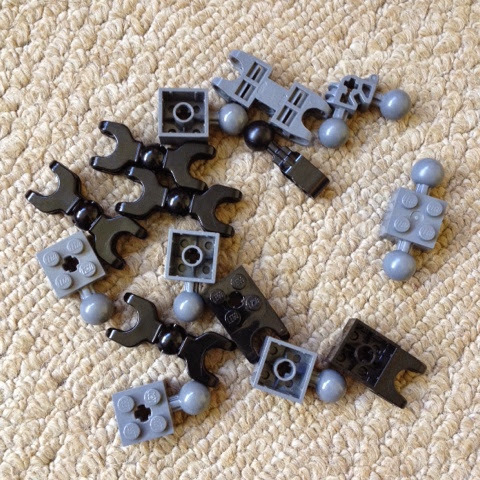 I had none of the actual joint parts as it turned out but I did have a load of other ball and socket joint pieces (they came in a job lot and were probably originally from Bionicles or similar) which had to suffice. 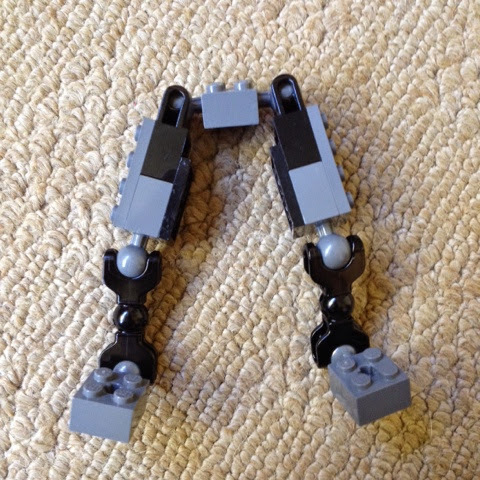 I simply divided them into two piles which contained the same parts and built some legs ensuring that there was a hip joint, knee joint and a joint where the foot connected. When it comes to the build, a solid core is important too for the body. But as long as it joins 4 limbs at 4 corners it's up to you how much of the instructions you follow... But more on that in part 2.